Everyone talks about finding cures, but no one has a plan. We have the plan—and the plan is the Crazy 8 Initiative. Since the beginning Alex’s Lemonade Stand Foundation (ALSF) has been about collaboration and working together to find cures. As ALSF continues to distinguish itself as a leader in funding childhood cancer research and accelerating cures, the Foundation has also facilitated unprecedented collaboration between the brightest minds in childhood cancer research from around the globe. In the spirit of growing that collaboration, ALSF has launched the Crazy 8 Initiative with the purpose of detailing roadmaps for cures for specific, hard-to-treat childhood cancers and pressing topics of the childhood cancer community. We want to know what needs to happen to move the needle for kids with cancer and how much it will cost. 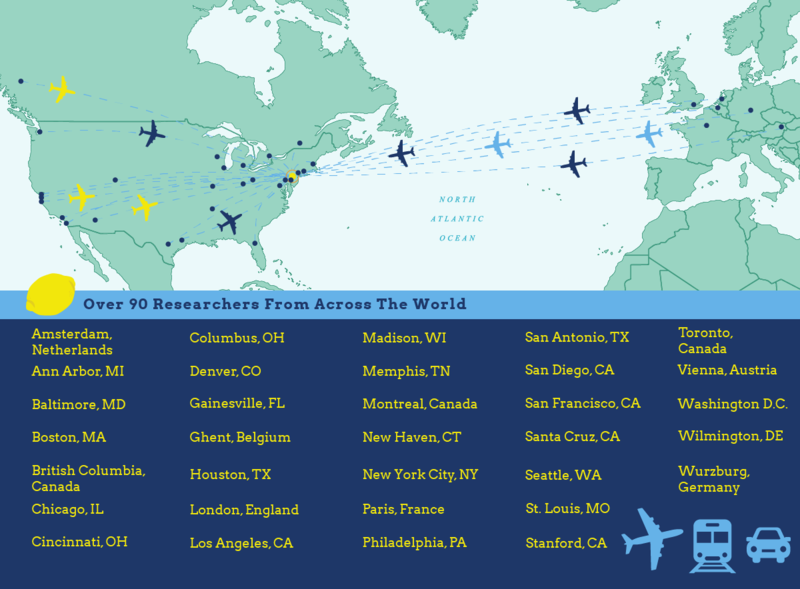 The Crazy 8 Initiative kicked off with a meeting that brought together an expansive group of over 90 top scientists and researchers from around the world to share their expertise in eight key areas to tackle the big question: How can we find better treatments and cures for childhood cancer? ALSF will continue to fund its current, innovative grant opportunities. But the roadmaps and outcomes of The Crazy 8 Initiative will create a new funding pillar for ALSF, allowing the Foundation to tackle specific cancers and topics in an impactful way. ALSF has committed $25 million to support the launch of The Crazy 8 Initiative. As the roadmaps continue to develop, ALSF will commit as much funding as it takes to make the goals of the Crazy 8 a reality. To jump start research ideas that have come out of the Crazy 8 Initiative, ALSF will support 10 Pilot Projects starting in February of 2019, listed below. We will create a future free of childhood cancer. Chaired by Nada Jabado, MD/PhD, McGill University and John Maris, MD, Children’s Hospital of Philadelphia, the Crazy 8 Initiative held its inaugural meeting in Philadelphia, PA from September 13-15, 2018. 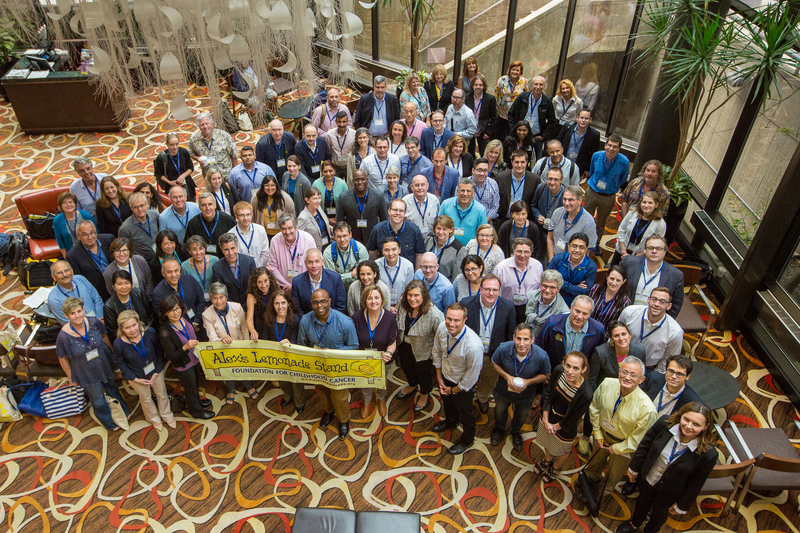 Over 90 thought leaders in the childhood cancer world gathered for topical discussions and planning sessions on the eight most pressing concerns in the childhood cancer world. There were interactive, collaborative, topic-based meetings and cross-topic, dynamic and innovative discussions between researchers and scientists bringing all attendees together. The researchers and scientists brainstormed and presented addressable problems and solutions to overcome these obstacles to make cures a reality. Subsequent meetings will be scheduled to assess progress, realign where needed and continue to design the roadmaps that began in Philadelphia. Collaborator: Hubert Caron, MD/PhD, F.Hoffmann - La Roche Ltd.
Hubert Caron, MD/PhD, F.Hoffmann - La Roche Ltd.